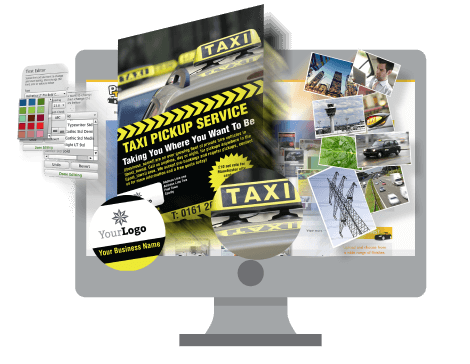 Whatever your business, Flyerzone has thousands of designs to edit. Find one thats just right for you. Choose from a wide range of options, upload your own file and we'll print them. You can even choose Free Delivery. Select your favourite individually crafted design templates or upload your own print ready file. Select your turnaround time to suit your requirements. Choose saver delivery and we'll deliver for FREE. Our Printed Leaflets range from A6 to A3. Choose from options like 100gsm or 115gsm leaflets. Make an impact with our thickest paper 150gsm gloss, 160gsm Recycled or 170gsm silk. Printed Leaflets are ideal for distributing through letterboxes, using as inserts in newspapers and magazines, and for leaving in other premises where people might be interested in your services. Our Printed Flyers range from A7 to A3. Choose from Medium Weight card options 250gsm or 280gsm. Go heavyweight with our thick 300gsm or 400gsm Flyers. All available with a wide range of options. 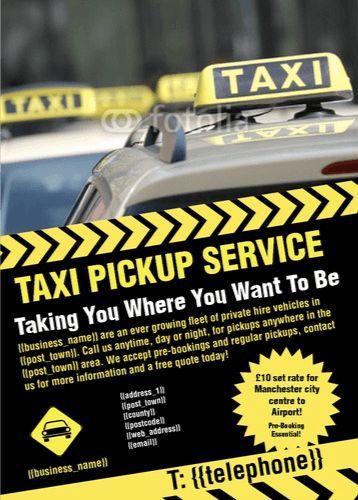 Print4Taxis provides high quality but cheap flyers and leaflets, in popular sizes such as A5 and A6. Design and print your flyers and leaflets online, or upload your own file.